Jan Bozarth was raised in an international family in Texas in the sixties, the daughter of a Cuban mother and a Welsh father. She danced in a ballet company at eleven, started a dream journal at thirteen, joined a surf club at sixteen, studied flower essences at eighteen, and went on to study music, art, and poetry in college. As a girl, she dreamed of a life that would weave these different interests together. Her dream came true when she grew up and had a big family and a music and writing career. Jan is now a grandmother and writes stories and songs for young people. Jan credits her own mother, Dora, with handing down her wisdom: Dream big and never give up. Sumi Hara loves fashion. She always looks beautiful, and always wears the perfect outfit. When she arrives in Aventurine, Sumi is thrilled to learn that she’s a shape-shifter. Unfortunately, she’s not very good at shape-shifting yet, so she’s given a guide named Kano—who’s distractingly gorgeous in his human form. But right away they get off on the wrong foot; Sumi can’t understand why this boy doesn’t seem to like her. When they find out that an evil fairy queen holds the final mirror shard needed to complete their mission, Sumi will have to discover what true beauty and perfection are, or she could lose Kano and her chance to become a fairy godmother. The Reindeer character in Kerka’s Book reminds me of Christmas. Her name is Ardee or RD, short for Rein-deer. Ardee is a lovable sort who is there for Kerka in times of need but has needs of her own and is NOT afraid to express them. Most of Ardee’s needs involve food. Ardee shows Kerka what a best friend does. She is not really that brave but risks her life to save her friend. She is not really that strong but gives it her all when the times call for such an effort. I like to think about friendship this way. It is a “give and take”. Sometimes you are the strong one and sometimes you just need a shoulder to cry on. So I am sending out this “THANKS” to all my friends who are there for me when I need them, but don’t mind asking for help too. It’s a gift to have a friend! Pass it on! Merry Christmas from the Fairy Godmother Academy!!!! 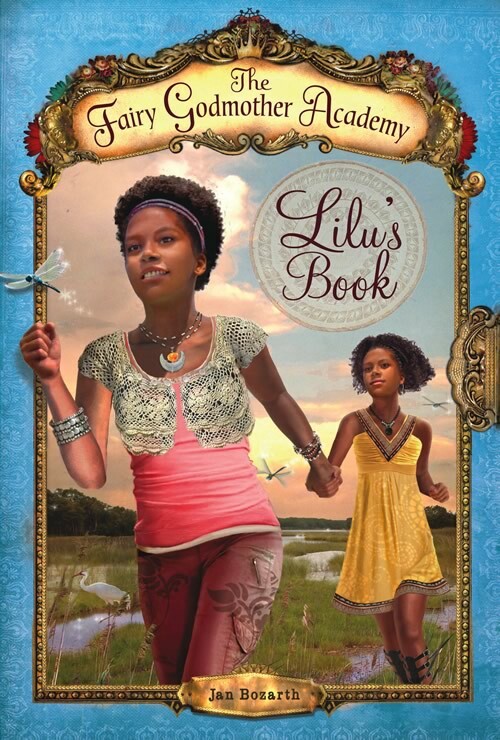 In my interview with Maria Hinojosa of NPR’s Latino USA, I was asked how nature influenced my work in the Fairy Godmother Academy stories. My lifelong love of trees, rocks, water, flowers, and birds comes out all over this book series. In Book 1, Birdie’s Book, Birdie comes to New York City from her beloved green Califa ( her name for California) and longs for a place where she can grow things. When she travels to upstate New York to visit her long lost maternal grandmother, she finds her grandmother, Mo, to be an avid plant lover with a grand garden and greenhouse. It was a labor of love to describe the perfect garden and then go on to describe it in winter. I used my mind’s eye to see in winter what the spring would, not doubt, bring to life. Using botanical names for people is Birdie’s little game in the story. I think it’s fun to actually compare people to plants. Alongside all the real plant and nature is the fantasy natural world where all the colors are even more vivid than real life and of course gravity is not a problem. I relied on feelings and memories to describe things here. All of this leads to another form of expression- fashion! 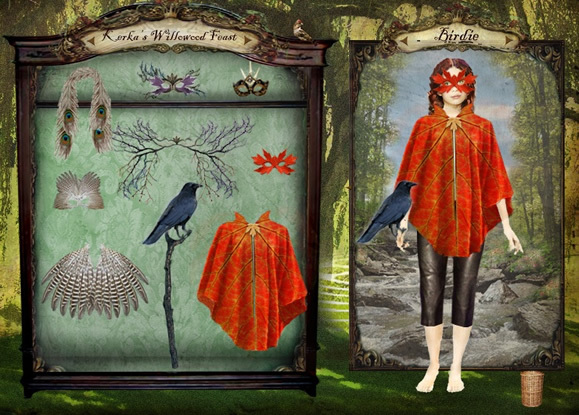 Check out this image of Birdie in her special nature- based Fall ensemble! We just wrapped up our time at Austin Wizard World Comic Con 2011 over the weekend! We had the opportunity to perform as part of Kid’s Day and to connect with so many interesting, creative people who are defining the world of popular culture today. I was proud to be on the same program as Peter Mayhew who is best known as Chewbacca from Star Wars, and who recently released a children’s book called My Favorite Giant which is a whimsical adventure that highlights the differences in people as being a strength instead of a weakness. Although, written for younger children, it’s message of acceptance is universal. 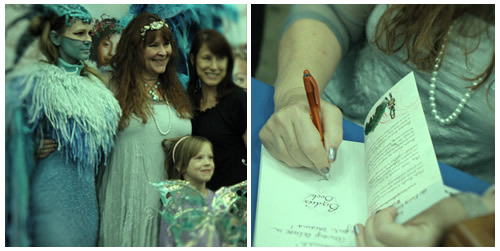 You can meet the twin blue dragonfly fairies, Jo and Hanna from Lilu’s Book if you are in Dallas this weekend Saturday June 11th at the Dallas Museum of Art’s Booksmart Festival. In Lilu’s Book these twins drive the Ba-dum Boat which is powered by African drums!!! Have you ever seen these Fairie Magazines before? Check them out! Faerie Magazine, Faeries and Enchantment and Fairy Tale Magazine..